As a corporate (event) videographer, I occasionally had opportunities to film events that having special guests invited. A week ago I filmed an event for Haymarket Chamber of Commerce that celebrating CNY 2016, here below a brief summary of the event. 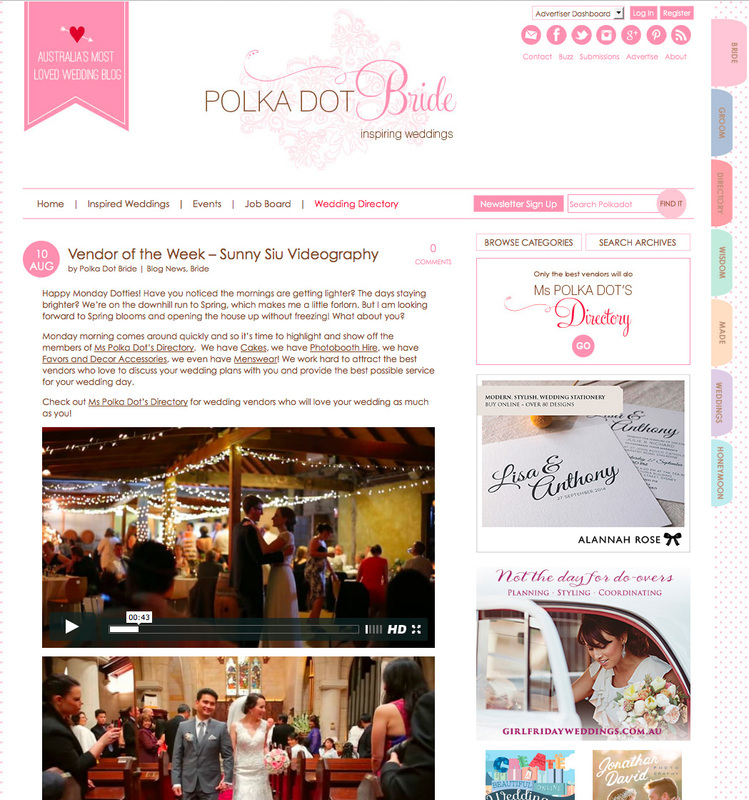 I was very pleased to be featured in Polka Dot Bride Vendor of The Week.